Myanmar – What Culture are you stepping into? Found in South East Asia, Myanmar (Burma) borders the Andaman Sea and the Bay of Bengal, between Bangladesh, India, China, Laos and Thailand. The Risk Rating for Myanmar is generally MEDIUM , but can be HIGH on the Chinese, Thai and Bangladeshi border areas. The security risks vary across the country, while travel is possible in many parts of Burma/Myanmar it is restricted in some areas. High risk security environments include the regions that border China, Thailand and Bangladesh. Travelling to these areas should be for essential purposes only. Parts of the northern and eastern Kachin and northern Shan states are occupied by armed ethnic separatist groups who remain active in opposing the authorities. It is rare to find terrorist violence in major urban centres; however in cities such as Yangon (Rangoon), Mandalay and the capital Naypyitaw armed groups retain the ability to carry out small-scale bombings. Communal tensions have recently flared between Buddhist Rakhine and minority Muslim Rohingya communities in Rakhine state and travel to these areas is frequently restricted by the authorities. The surveillance of foreigners by state security is prevalent. Crime levels overall are low, due to the pervasive presence of the security forces, however there are reports of foreigners being overcharged and cheated in taxis, restaurants and hotels. Travel conditions are often poor and access to petrol is not guaranteed in all areas, although this is improving. The Official language is Myanmar (Burmese), but English is widely spoken. People may show their enthusiasm for an individual or event by arriving up to half an hour early to a social occasion. Arriving late could give the opposite impression. People are generally polite and hospitable, and will not expect foreigners to understand the intricacies of their social system. Handshakes are often used upon meeting and leaving. People do not have family names. When greeting people, the following terms are used before the name: for an older or well-respected male, U (pronounced oo); for younger men, Aung ; for adult males, Ko; and, for women Daw. Remove shoes and socks before entering any religious building or someone’s home. It is a devout Buddhist country, visitors should try to remember not to cross their legs so that their feet point at another person or a Buddha image, and not to touch the upper part of the body (particularly the head) of a Buddhist, even a child. Buddhist monks are forbidden to touch or be touched by women. Shorts and short skirts are not worn. It is considered rude to point a hand or finger at anyone. It is prohibited to photograph military personnel and sites as well as other sensitive installations such as bridges, government buildings and airfields. Avoid discussions on political issues such as human rights and democratization. English is the language most often used in business. When conducting business, a lightweight suit and tie are appropriate for men, while women should wear conservative clothes. Make business appointments in advance and be punctual. Distribute business cards after the introductions in a meeting. Dress modestly to avoid drawing unwanted attention. Observe and respect local clothing customs. Decline invitations that would take you beyond your personal comfort levels, even if faced by amicable pressure to behave otherwise and be polite. Plan your itineraries bearing in mind risks incurred by women in various modes of transport available in your location; prioritise security in your choice of transport and do not travel alone after dark. 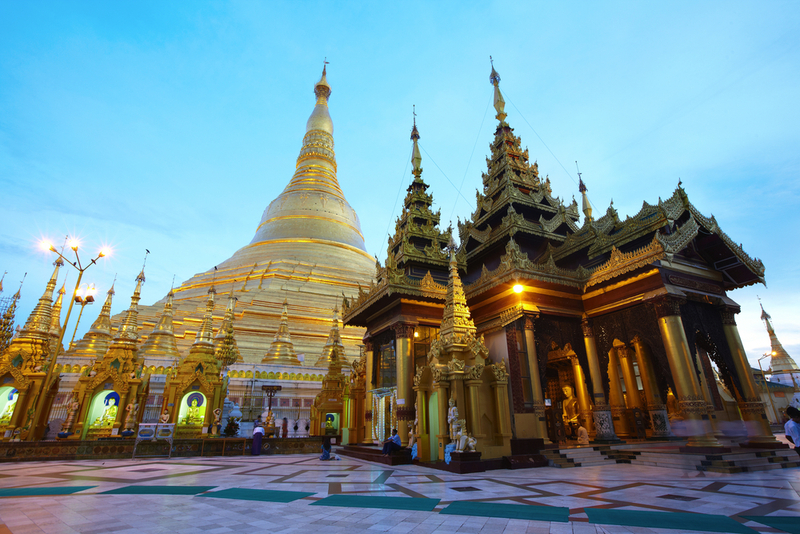 Read more about an expatriates experience in Myanmar here. This entry was posted in Expatriate Relocation, Myanmar and tagged Country Risk Rating, expatriate culture tips, International Cost of Living, international expatriate, Myanmar expatriate, Myanmar work hours, Tipping in Myanmar. Bookmark the permalink.